**Please note: Patients with Tricare-North Region and UnitedHealthcare Select HMO require a referral from their PCP Dr. Dolce was raised in San Antonio where he swam and played water polo for John Marshall HS. He continued athletics through college and completed his undergraduate studies at Texas Christian University in Fort Worth. He then attended the University of Texas Medical School at Houston before completing his orthopaedic surgery residency atGeorgetown University Hospital in Washington, DC. After residency, he completed a sports medicine and arthroscopy fellowship at the Houston Methodist Hospital. While in Houston, he worked as an assistant team physician for the Houston Texans, Rockets, Astros, Dynamo, Rice University football and baseball, and the Houston Rodeo. His past and current research interests include: MLB pitching mechanics and their relation to injury risk, clinical ballet and biomechanical FAI hip studies, and biomechanical meniscal transplantation research. 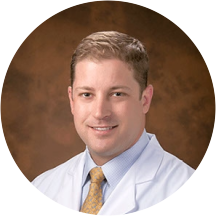 Dr. Dolce was previously a team physician for TCU athletics and is a team physician for Nolan Catholic High School and the Fort Worth Stock Show & Rodeo. He was extremely nice and caring. He was very good and explain what is going on with my knees. What would be the best course of action, and what might have to happen. His staff was nice and understanding. He was very nice and he made my feel very comfortable. There was a small mix up with verifying my health insurance. Instead of the front office calling to clarify the plan that I had with a live person, I had to call myself to get it cleared up. They did tryan automated service and tried searching online which did not work. This is what made my wait time go over an hour. The very friendly lady, regret not remembering her name, that called us back was such a sweet lady. Ms. Kelly and Dr. Dulce were also very pleasant and friendly. I was most definitely pleased with their professionalism with a flare for being very down to earth. I loved their happy energy that they gave off. You could tell that they love what they do which makes the visit so much more better. I wouldn't be bothered waiting another hour for them next time if I had. Entire staff was great. Dr. Dolce (and his PA) both took the time to explain my problem in easy to understand terms (for us "non-medical people!). I felt confident in his treatment plan and appreciated that he didn't jump immediately to surgery as a solution. Dr. Dolce is an excellent communicater. He showed me my exrays, explained what my problem was, the treatment required and did a thorough physical, He recommended the least invasive treatment at this time, and made a second appointment shouldI not get the results needed. I am impressed with his knowledge and care. I recommend him to anyone having orthopedic problems. Dr Dolce was very clear about the results of my injury and the best way to treat it. I felt very comfortable with his approach and how to work towards a full recovery. Dr. Dolce was very kind, professional and thorough, as was his staff. This was an initial visit.